Like music? Come on down! 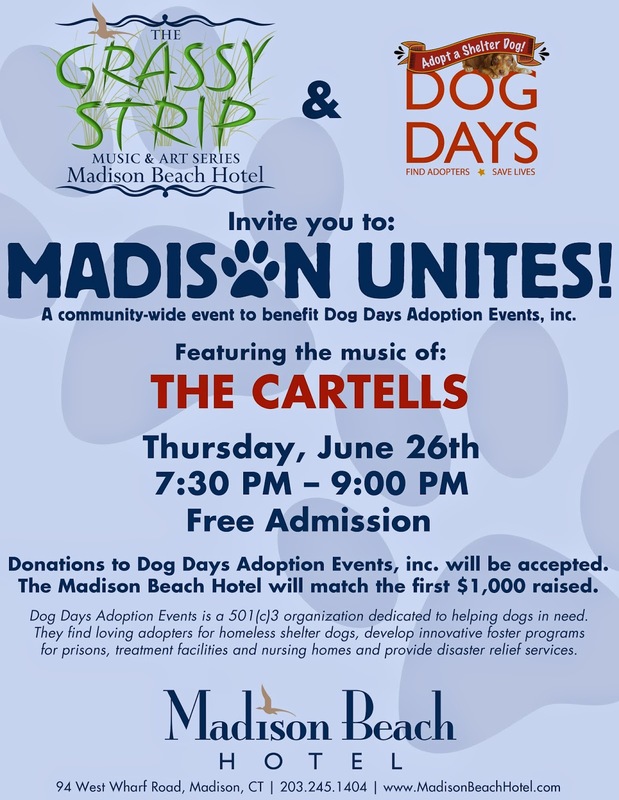 The Cartells and the Madison Beach Hotel have teamed up to offer a FREE concert on the beach- and they've offered Dog Days the opportunity to collect donations for our upcoming adoption event! What says "summer" more than music on the beach?! Thursday, June 26th from 7:30 to 9:00. Come early to get a great spot for your blanket!